GNDEM convened its Fifth Implementation Meeting of the Declaration of Global Principles for Nonpartisan Citizen Election Observation (DoGP) from June 27-28, 2017 in Tbilisi, Georgia. Participants in the annual meeting included GNDEM Coordinating Committee members from la Red de Observación e Integridad Electoral - Acuerdo de Lima (RedOIE) (formerly Acuerdo de Lima) in Latin America and the Caribbean, the Arab Network for Democratic Elections (ANDE), Asian Network for Free Elections (ANFREL), East and Horn of Africa Election Observers Network (E-HORN), Election Network in the Arab Region (ENAR), European Network of Election Monitoring Organizations (ENEMO), European Platform for Democratic Elections (EPDE), Electoral Support Network of Southern Africa (ESN-SA) and West Africa Election Observers Network (WAEON). Following the two-day meeting, GNDEM participants also took part in a Global Electoral Integrity Dialogue, a two-day exchange convening citizen observers, international observers and election management bodies on open election data - co-hosted by the Central Election Commission of Georgia (CEC). Following a meeting among the GNDEM Board (established at last year’s meeting in Bali), the Implementation Meeting allowed the Coordinating Committee to focus on the structure of the network itself, how the network can ensure all members adhere to the DoGP, and to determine how GNDEM’s working groups can make progress on action plans between meetings. In addition to discussions regarding GNDEM’s internal organization, the Coordinating Committee was able to discuss advancements and experiences related to advocacy for open election data, activities members have undertaken during periods between elections, and efforts related to solidarity and support for members operating in closed or closing spaces. During an open discussion on solidarity and credibility, a representative from EPDE outlined the challenges associated with fake election observer groups and government-organized NGOs (GONGOs). She emphasized that GNDEM has a role in promoting credible election observation, and ensuring that members are adhering to the principles they endorsed. Joe Keyrouz of ANDE and the Lebanese Association for Democratic Elections (LADE) focused on the need for GNDEM to better solidify a membership structure, and proposed an accreditation system for members. While the Coordinating Committee agreed that it is important to ensure that only credible groups are permitted to become GNDEM members, they also proposed an accreditation system that is straightforward, both for the leadership to implement and for current and prospective members to apply. The working group on membership and structure is anticipated to further flesh out criteria and proposals over the next year. The Center for Monitoring and Research (CeMI) in Montenegro, Misión de Observación Electoral (MOE) in Colombia and ANFREL provided insight and experience-sharing on using official and open election data to further election observation efforts and initiatives. In Montenegro and the Balkans in general, more work needs to be done around open election data, yet CeMI shared that they also publish their own data from observers in an effort to be transparent with the public. ANFREL is currently building off of last year’s Asian Electoral Stakeholders Forum(AESF), where the Bali Commitments presented eight keys to electoral integrity related to transparency and open election data. ANFREL hopes to further engage EMBs and to facilitate dialogue on best practices related to sharing open election data. MOE in Colombia developed an online application called “Cuentas Claras”, which provides citizens with access to campaign finance data, allowing them to see how campaign funds are being spent. 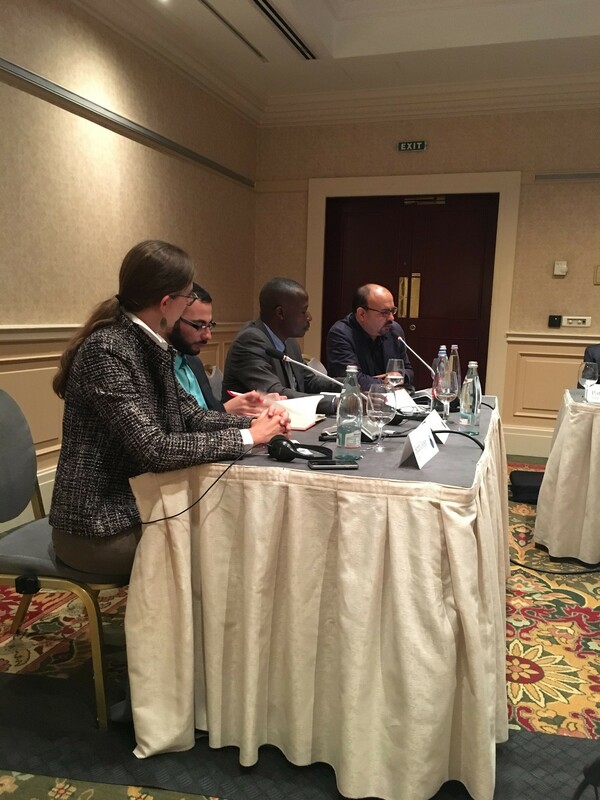 During the third panel, representatives from the International Society for Fair Elections and Democracy (ISFED) in Georgia, Acción Ciudadana in Guatemala and Malawi Electoral Support Network (MESN) shared how their organizations have stayed engaged between elections and have cultivated their elections networks to monitor other political processes or advance electoral reforms. ISFED shared how they used data-driven practices and forged relationships with parties and other CSOs to advocate for electoral reforms in Georgia, both after the 2012 elections and during this year’s constitutional reform process. In Guatemala, AC found that campaign finance presented a big challenge in the country around recent elections, and shared their strategies for electoral reform advocacy around campaign finance and the justice system. In Malawi, MESN was part of a task force on electoral reform following problems observed during the 2014 elections. MESN not only looked at issues that would need to be legally addressed, but also at improving administrative matters before the next elections to improve the electoral process. At the conclusion of the meeting, the Coordinating Committee developed their proposed structure for continuing activities over the next year, electing Joe Keyrouz of ANDE and LADE as the new Chair, and Carol Werunga of E-HORN and the Kenya Human Rights Commission (KHRC) as Vice Chair. The Coordinating Committee also restructured the working groups based on discussions at the meeting. The Solidarity Working Group, chaired by Koul Panha of ANFREL and the Committee for Free and Fair Elections in Cambodia (COMFREL), will continue to support members in closing spaces, and to respond to threats to citizen election observation as a practice. The newly created “Membership and Structure” Working Group, chaired by Zlatko Vujović of ENEMO and the Center for Monitoring and Research (CeMI) in Montenegro, will focus on the development, revision and finalization of a set of by-laws for the network, as well as develop a set of criteria for GNDEM membership. The Advocacy Working Group, chaired by Amer Bani Amer of ENAR and Al-Hayat in Jordan, will continue to focus on issues related to open election data, yet could expand to include other advocacy efforts important to citizen observers. In years past, a Methodology Working Group has focused on a topic voted on by the Coordinating Committee. While this year’s panel focused on inter-election accountability initiatives, the scope of the working group has broadened to “best practices,” which will focus on disseminating strong examples and case studies in advanced election observation practices throughout all GNDEM members. For more information on these working groups and GNDEM activities, stay tuned for the monthly GNDEM newsletter or email [email protected]. In more than 90 countries on five continents since 1986, millions of citizens have joined nonpartisan election monitoring efforts to safeguard electoral integrity, help create governmental and political accountability, contribute to mitigating potentials for politically motivated violence and promote the right of citizens to participate in public affairs. The widespread development of nonpartisan election monitoring around the world is tangible evidence of citizen desire for responsive, transparent, democratic governance.